ISO is a set of international standards, acknowledged and recognized worldwide. 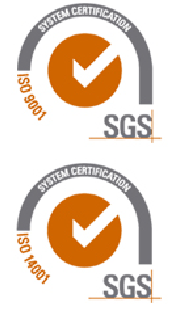 ISO 9001 is a quality management system. Its implementation means that Edica is focused on understanding and meeting customer requirements. ISO 14001 is an environmental management system. Its implementation means that Edica is aware of its impact on the environment and deliberately manages it. Edica boasts FSC Certificate (Forest Stewardship Council®) which proves the company’s responsible approach to environment and its care about forest protection. Edica offers its customers the possibility to make certified products. This means that the origin of wood used in the final product is identified and each stage of the whole production process can be precisely described. We can guarantee that, since every company participating in the sales of raw materials also possesses certificates of the product origin. Edica is proud to possess the AEO Certificate which is like an ID of a trustworthy business partner. We can use the Certificate while looking for new business opportunities both in Poland and abroad, in particular in the EU. The AEO Certificate is issued exclusively for reliable business partners and is preceded by a detailed audit of the whole company, which is conducted by customs authorities. The AEO Certificate proves that we are a reliable partner in an international exchange of goods. “Dobra Marka” (The Good Brand Award) is granted to most dynamic and best known brands on the Polish market. For the third time “Rzeczpospolita” newspaper and the Institute of Philosophy and Sociology of the Polish Academy of Sciences conducted market research to identify values, activity and recognition of particular brands. Among others, the analysis covered the brand’s market position and strength, the quality of a given product and consumers’ trust for it. Our calendars, and consequently Edica, were highly assessed in the research and this was confirmed by the award granted to our company: Dobra Marka 2012 – Jakość, Zaufanie, Renoma (Good Brand 2012 – Quality, Trust, Reputation). This award proves the best quality of our products, the customers’ trust in us and an excellent reputation of our brand.